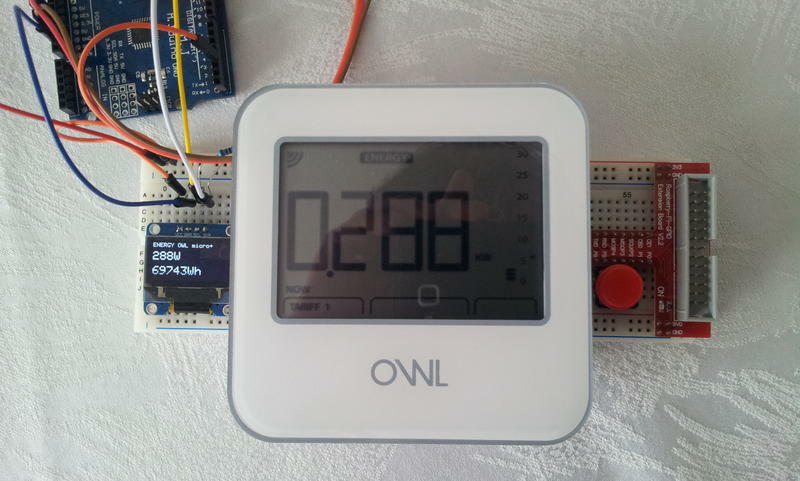 Owl micro+ Wireless electricity monitor runs on Oregon Scientific V3 protocol. After buying one of those wonderful little devices to study the energy consumed at home, i browsed the internet to find a way to decode frames sent by the transmitter (CMR180) but I have not found any application describing the coding system of the data within the radio frames. So I decided to study the radio packets to decode the system. Please visit the Github repository (https://github.com/onlinux/OWL-CMR180) to get all information about how to decode the packets. Code available for RaspberryPi and Arduino. This entry was posted in Arduino, Linux, Raspberry Pi, Zibase and tagged 433MHz, Arduino, CM180, OWL, RTL-SDR on January 20, 2015 by eric.